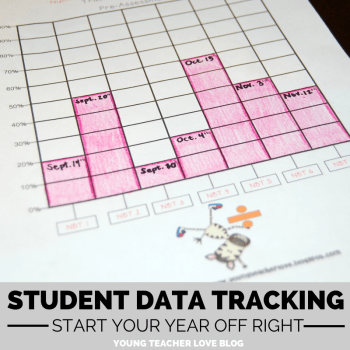 I had some teacher epiphanies during this crazy-busy time of year. The kind that make you want to veer off the lesson plan, follow a kid’s lead, and learn with your students. A teacher’s dream right?! Three times a year we were required to give our students the DRA2 Reading Survey/Inventory. 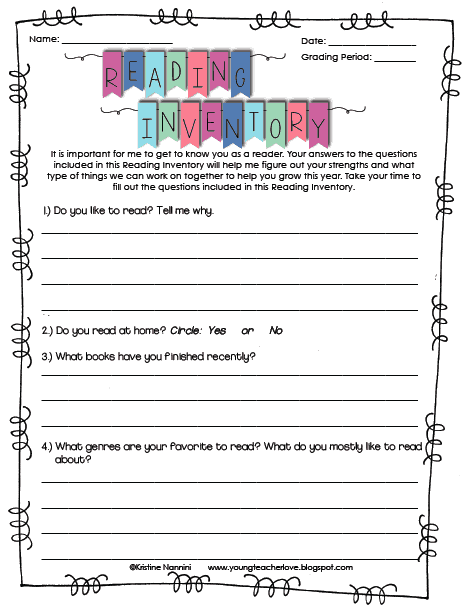 I honestly never took these reading inventories seriously and felt like they took up too much of my time. After sitting down and giving these the proper attention they required, I realized that they could be a really useful tool. It was time I really got to know my kids as readers and learn a bit about their background knowledge (and I needed an easy way to do it). Since we weren’t far enough into our workshop procedures to start conferencing, I created my own reading inventory. 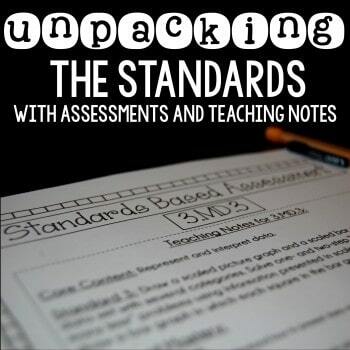 I wanted to create one that could not only tell me about my students and their love/lack of reading, but I also wanted to gauge their prior knowledge of reading strategies, comprehension, fluency, etc. This quick 12-question reading inventory gave me more insight on every single student than I ever thought possible. 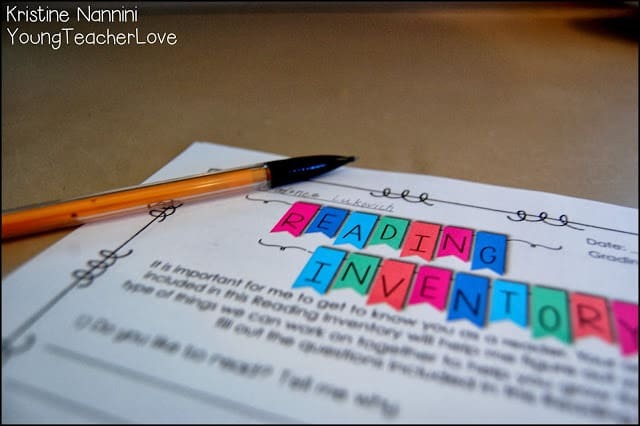 I know, I know, we’ve learned about these reading inventories since the beginning of time, but I seriously took for granted the power they have in my own classroom. What’s crazy is that the information my students wrote is nothing new. But to get students to verbally say these responses in a conference-like format is rare. Something about the pencil to paper made them write more than I’ve ever heard them say. Their responses were all over the board. I know you can relate when I say that some of them made me gasp inside a bit. Then there are those few that make your teacher insides smile. The answers that the students wrote were the reason for my teacher epiphany. 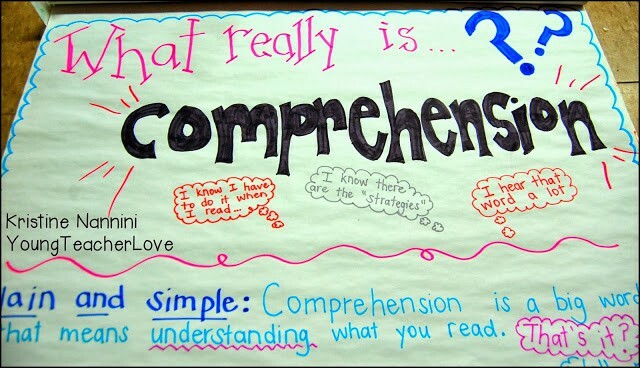 The biggest surprise came from responses to the question: What does the word comprehension mean to you? Explain your thinking. 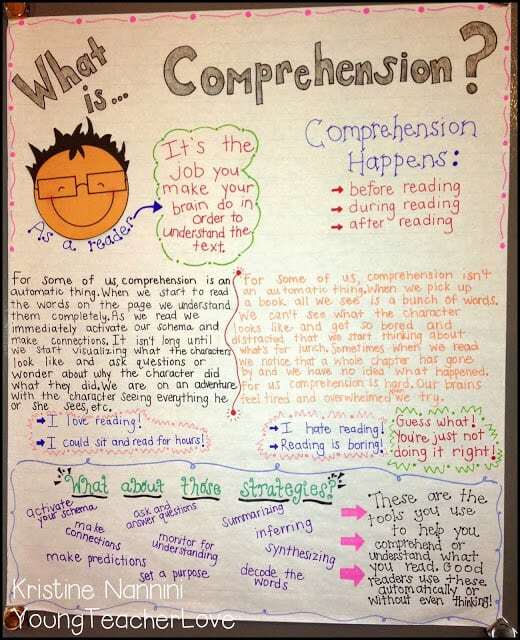 Have you ever asked your students what comprehension means? I don’t know why I never thought to ask my students this. 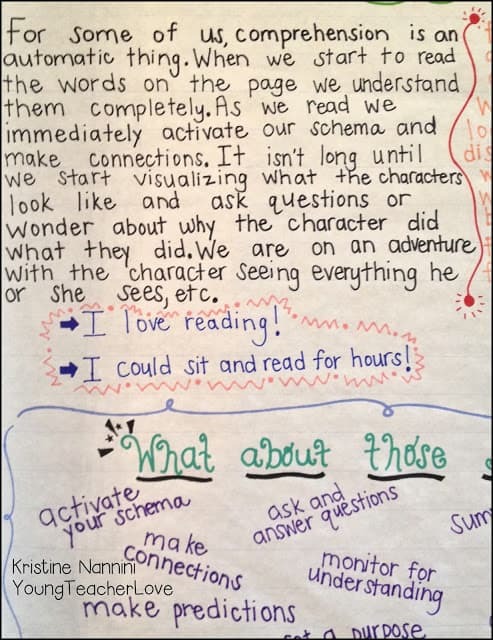 I just figured that by 5th grade, they have been learning about their schemas, the connections they make, the questions they develop as they read, their visualizations, inferences, and all of the other tools in their toolbox they use to make meaning of the text they read. Even my high readers couldn’t answer this question. 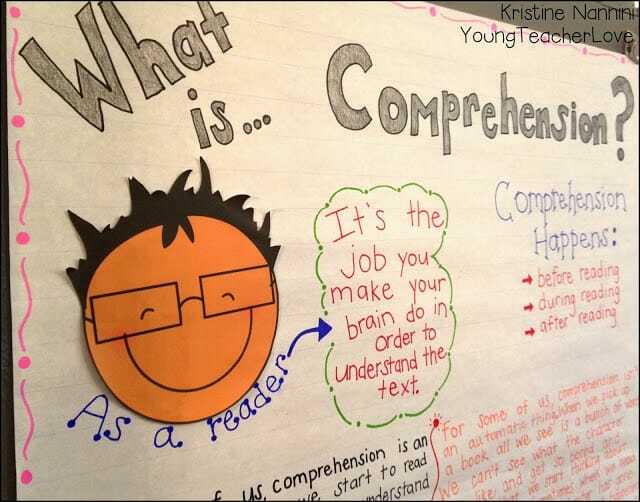 Many of them said that comprehension is visualizing, or just the ability to read. This was when I completely veered off my lesson plans and grabbed my Mr. Sketch markers. I decided to pull my students for a quick mini-lesson. The mini-lesson was nothing fancy, I promise. We sat in a community meeting type of format in which I allowed students to freely share and talk. 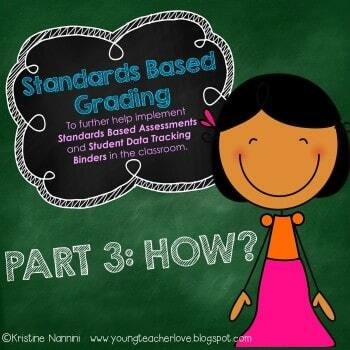 It was an honest conversation between my students and I, with the anchor charts to guide us. It was a real learning moment. It was so cool listening to students and seeing their heads tilt to the side a bit when the lightbulbs started going off. I described the two different types of readers (as shown below on the anchor chart), and seeing my low readers understand it was awesome. For once, they kind of understood it all and could somewhat put the pieces together. 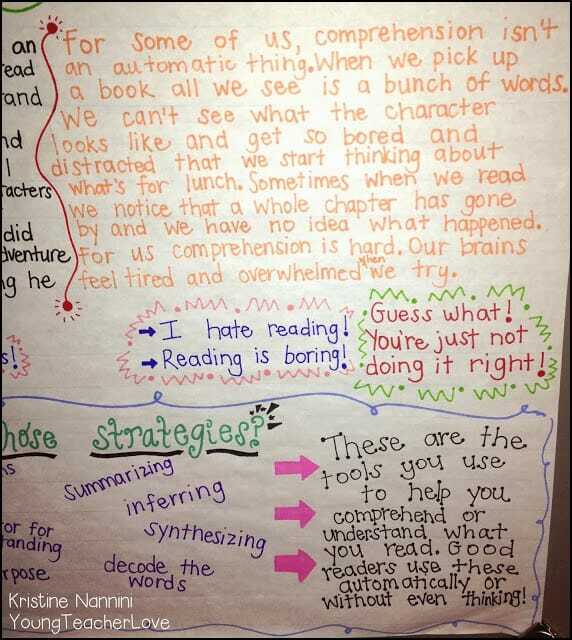 The best moment came when one of my low readers asked me how he could go from being the “reader on the right (see anchor chart) who says he hates to read,” to the “reader on the left that gets it.” He said that he would love to be that other reader, but he hated to read and didn’t know how. At that very moment, I promised this student that this was his year to be that other reader, and I was going to help him do it! You can grab my reading inventory by clicking here or the picture below! Wonderful insight into comprehension. I love it. Can’t wait to share. Love this! Can’t wait to do it with my students-thanks! After reading this, and a few of your other blogs, one of our clients have authorized me to give you and your faculty a discount on school supplies. go to http://www.bulkofficesupply.com and use the coupon code MARK. Thanks for the great post and being an awesome teacher. I am not a teacher. I did home school my daughters, this year I put them in public school. 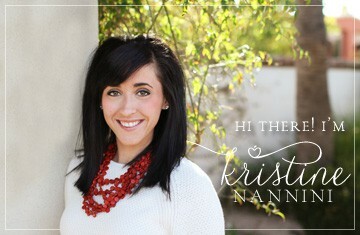 I love your blog and how you explain everything. This is really awesome. My ten year old is a great reader but she strugglea a bit on the comprehending part. Using your illustrations can help me explain to my daughter how we should read better. I want to say thank you so much. I am so glad this will be able to help your daughter! :) I appreciate your kind words! The kiddo who wanted to go from the right side to the left side pulled at my heart strings!! Makes me so happy that he felt very comfortable with the environment you have provided to be so vulnerable! Have a great year! Aww thank you! I love your comment! That means so much! 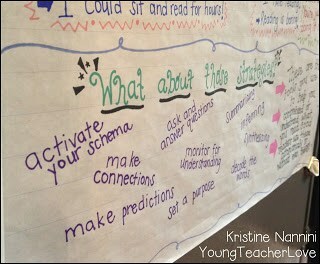 Do you create your anchor charts ahead of time or do you create them together as a class? As you know, I love all your ideas and products. :) Would LOVE to be a fly on your classroom wall!! You’re so sweet Cynda! Thank you!! I always create anchor charts with my students, but often snazzy them up afterwards or put titles and headings on ahead of time. I loved your post. Thanks so much for sharing. I’m going to try this with my 2nd graders and see how much of the questions they can answer. 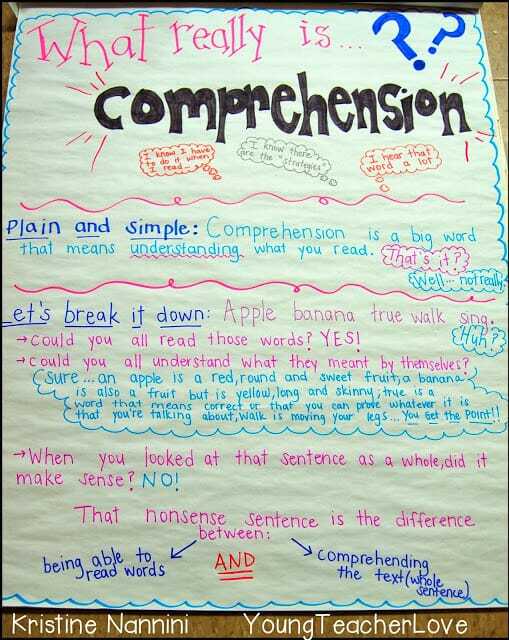 We talk about fluency, strategies, comprehension, etc…. I wonder also if they can tell me what it is.